Almost ten years ago, to get me back outside after a series of female surgeries, I bought my first Friesian, a bolty, silly, gorgeous, loving 10 year old gelding, Draakhart. Everything about that journey was full of the magic we expect from these fairytale horses. But after only a few years of falling in love, training dressage, our first horse show, learning about a whole new way to relate to my horse (I was a long time quarter horse owner), and finding a partner who blessed me every day, Draakhart suddenly became ill and soon perished of a small intestinal rupture. I was devastated. I wanted to burn down the tack room and never get on a horse again. I couldn’t connect with the several other horses we owned. I was inconsolable. 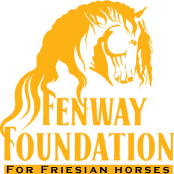 During the aftermath, I learned of a fairly new initiative, the Fenway Foundation for Friesian Horses. I started reading their site, their educational posts. I started learning more about the particular challenges this treasured breed faces. I tried to find comfort in the fact that I didn’tdo anything uninformed or incorrect to cause this. I tried to learn not to blame myself or question every minute of those last days. I watched. I grieved. I waited. In a few months, my Friesian friends and my family kept insisting I consider getting another Friesian. The only compelling argument for it was that I was doing a disservice to my Draakhart to refuse to carry on the journey we began. I was dishonoring his memory by being so stubborn. And slowly, I started searching the Internet and other Friesian sources for a potential new partner. An old ad for a 10 year old gelding named Draak kept cropping up in my searches. Eerie that he had the same name. (I would find out soon that he had the same birthday as my Draakhart as well.) I finally contacted the owner, knowing that particular horse was long ago sold, but hoping she had some other similar guy for me to consider. In another magical chain of events, that very horse was coming available again. Fallen on hard times, he was standing in a stall in the desert neglected, and when I met him we were both shut down and a mess. I couldn’t save Draakhart, but I COULD save him, so we started our next chapter together. We solved some minor medical issues, we fixed his neglected feet, we started training. Dressage was pretty challenging for us both so I started employing other fun training techniques, like clicker and trick training, to keep us engaged, thinking and having fun. It took us a long time to let down our guards, as both of us had things to get over, but you can’t keep a Friesian down for long. 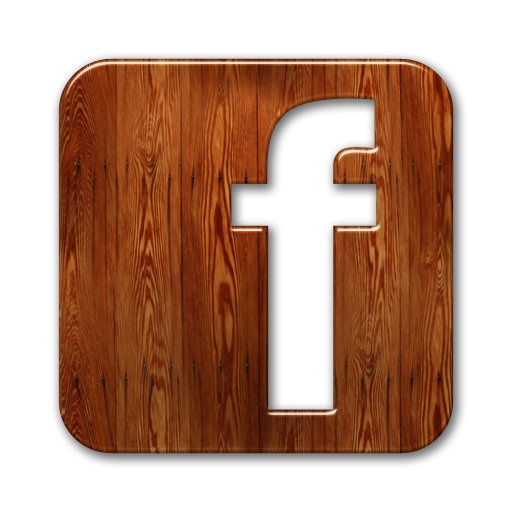 Fast forward to my regular visits to the Fenway Foundation Facebook page and website. One evening in February 2014, there was a post from rescue specialist, Jamie Van Linn, about the need for a west coast adopter for a little mare who had foundered in pregnancy and was a surrender because of the complications of her feet. She could never be bred, and perhaps would never be sound, but needed a home with pretty specific feeding and living environment to support her comeback from her terrible lamanitic state. My husband and I had rescued a lamanitic Oldenburg the year before, and had learned so much about feeding and barefoot recovery, that I felt I could help. I applied for her and in a day was interviewing with Jamie and then Dr. Kathy Fox about our experience, our horse keeping practices, and what I would do to help her. They chose me to take her, and in a couple of days we were off to pick up ZaZou. Only after we brought her home and started the caretaking transfer of ownership did Jamie tell me she’s a Nanning daughter. I was and am so honored to have cared for her for this last year and with careful management we rode her for the first time on good, sound, barefeet this last Easter Sunday, 2015. She and my Draak share a pasture with our mini cremello, and are thick as thieves. And I have become a friend and supporter of the Foundation and the great work Scott and Shelley Kelnhofer and their remarkable and dedicated staff carry on every day for our Friesians around the world. So when FHANA executive director Jason Tice asked Jamie Van Linn and the Kelnhofers to be a part of the exhibition promoting the Friesian breed at The Rolex Eventing Competition in Lexington, KY again this year, Jamie and Shelley asked ‘the actress’ for costume ideas. Before I knew it, I was invited to come myself as the Ambassador to the Friesian Horse, to be part of the exhibition in Renaissance costume with the lovely Vienna Van Kelnhofer, my ZaZou’s sister! For a lifelong horse lover, a rider of many disciplines, and a hopeless Friesian enthusiast, dreams really do come true. We met in person for the first time at the Lexington airport the morning of our dress rehearsal performance! A few bumps in the road. Half the costume I made myself didn’t arrive and had to be found and over nighted to the FHANA office. (It got there in time for the Friday Show!) A few brave changes to the routine by fantastic rider and trainer, Jamie Van Linn, secured a perfect Saturday show! And what a show! Four in Hand Marathon driving team of Gerben Steenbeek and his family came all the way from Ontario, Canada as well as a lovely musical freestyle by Canadian rider Cecile Von Martels-Perry on Vanderkooy’s Kettle Creek Friesian’s stallion, Doekle. There was also mounted Sheriff, Barb Renico on yet another Nanning offspring with her Friesian partner Lena. A gorgeous freestyle exhibition was performed by Jamie Van Linn on Tys from Fenway Farms and the funny little actress and her glorious costumed horse Vienna of Fenway Farms engaged the fans inside and out of the arena. These Friesians stopped traffic! I am so thrilled to have met these real ambassadors of the Friesian Horse from all across the country and all across the continent. And to come face to face with my dear friends at the Fenway Foundation. Thank you Jason and Jessica Tice from FHANA for the warm welcome and the wonderful opportunity. And thank you Scott and Shelley and especially Jamie for trusting me to help represent and promote these amazing and talented fairytale Friesian horses. They really are magic, you know. See you next year!..